After an afternoon at the beach we got back at our lodge in the city proper around 7PM. In truth I was really hungry by then but luckily they all agreed that we should first do the Iwahig Firefly Watching before doing dinner as we fear we may not be able to reach them before their closing. 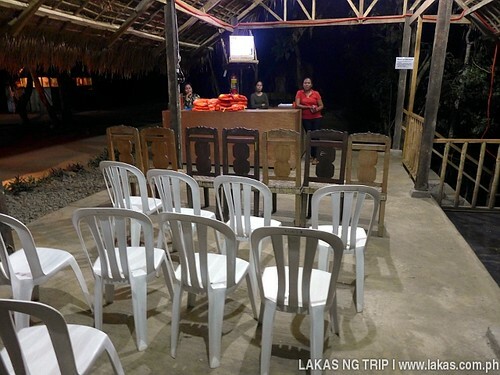 We had a quick freshen up session and at 8:10 PM I find myself talking to random tricycle drivers and asking them to take us to the Iwahig Firefly Watching. We agreed at a price of 700 Pesos/tricycle. And since we were a group of 6 persons we needed 2 tricycles as a tricycle can only fit 5 Filipino sized persons. Our tricycles left at 8:16PM and we only stopped by for refuelling before we proceeded to where the Iwahig Firefly Watching was located. We arrived at 9:01 PM (45 minutes travel time) and I was surprised that there were just a few visitors around, given that it was still summer and as I’ve heard really great stories from friends about the firefly watching. 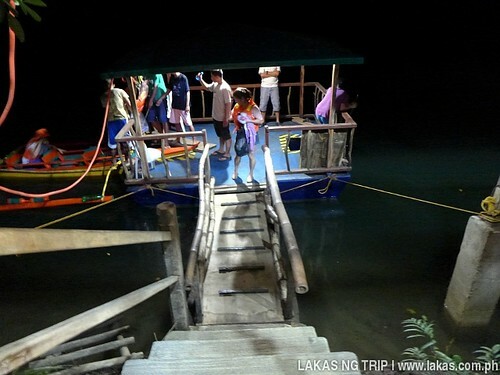 We registered our names first on their logbook, we payed 600 Pesos/boat for the paddle boat tour. Good thing that we were a group of 6 (multiple of 3) as each boat could only accommodate 3 visitors. We were then given numbers for queuing on their waiting area. 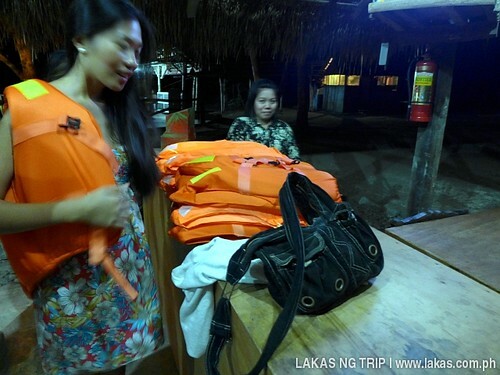 We were required to wear life vests before proceeding to the platform where our boat and guide awaits. When we reached the platform, someone with a camera asked us to smile to the camera. 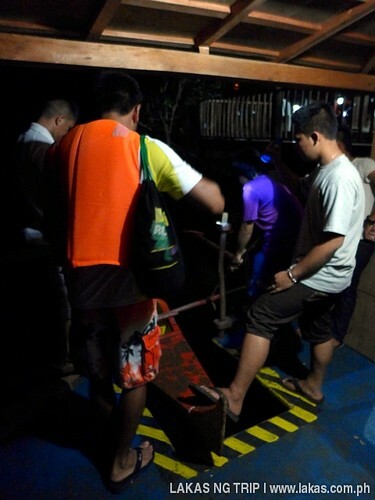 He had an ID so I assumed that it was a standard operating procedure now of the Iwahig Firefly Watching and later we would be paying for a print copy of the photo. Somehow it felt very touristy with the guy in the camera telling us to pose for the camera. But hey, it creates jobs so I just shrugged the awkward moment off. We boarded our boat, our guide told his name and started paddling. He showed us the fireflies blinking like moving christmas lights on a christmas tree. He told us the importance of the fireflies and it being an indicator of good oxygen levels, their life cycle, diet and their temperature preference. Not only about fireflies, our guide also showed us glowing planktons on the brackish waters of the mangrove forest which activated when moved. Chris, Catherine’s brother, was playing around so much with the water to make them glow. Our guide also told us about constellations in the sky. It was surprising and fun to know that they know many things about constellations to the point that we were mentioning lots of random constellations and our guide was pointing them in the sky, if they were not visible he told us when it would be visible. 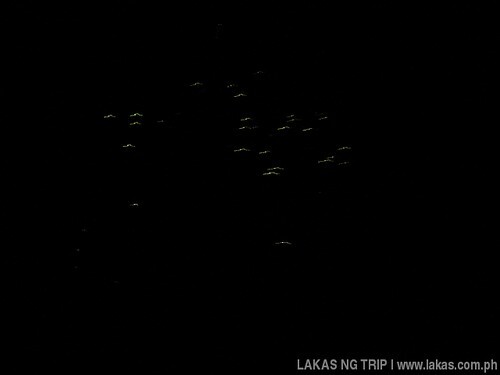 I’ve learned from my experience in the firefly watching in Sibuyan Island, Romblon that these blinking creatures are hard to be photographed, nor is it easy to capture on video. I still did try taking photos in Iwahig, but I never got frustrated about it like my first time doing a firefly watching tour. So after 32 minutes on the paddle boat, we got off it and back on the platform again. We waited for our friends to arrive. We returned our life vest and happily said thanks to their staff and guides. Then we checked of the photos taken by the guy with the ID on their booth. We were walking back and talking about how awesome the experience was when many of the staff started walking fast passed us. Apparently, they were now closing since we were the last customer and it was just 9:59 PM. It was a good thing that we did this first. Phew! We got back at the Town Proper of Puerto Princesa at 10:46PM and dined at Kinabuch’s Grill and Bar. 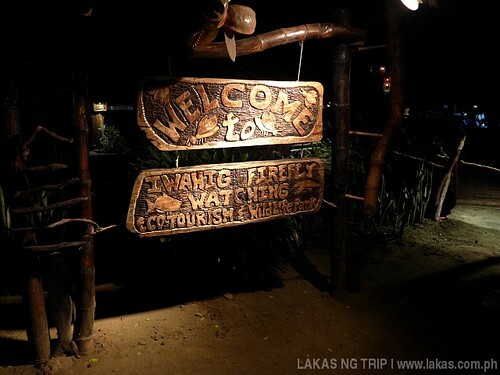 Personally, Iwahig Firefly Watching is one of the MUST SEE attraction of Puerto Princesa City. Rates: 600 Pesos/boat. Boat is good for 3 visitors only. Operating Hours: Starts from 7PM up until there are visitors. They may close early just like in our case but sometimes they even take up to 1AM. Better to call them for reservation. 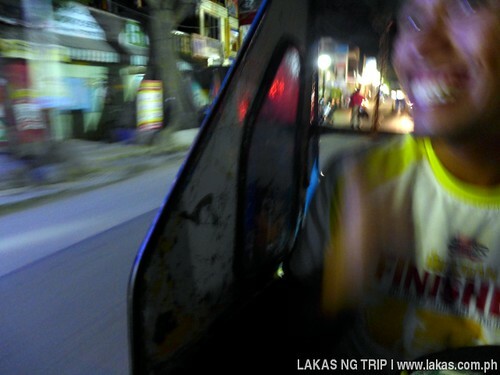 The easiest and best way to get to Iwahig Firefly Watching is by hiring a tricycle from the Town Proper. 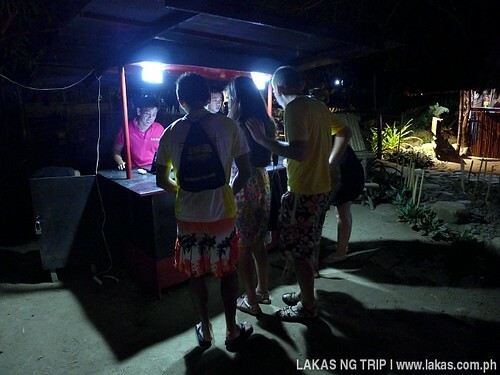 You can hire a tricycle from the Town Proper of Puerto Princesa to take you to the Iwahig Firefly Watching and back. Usual rate is 700 Pesos/tricycle. A tricycle could accommodate 5 persons. Travel time is around 45 minutes to 1 hour. I was unable to go with my friends when they went to see the fireflies in Iwahig. Hopefully I get to do this if ever I return to Puerto Prinsesa. 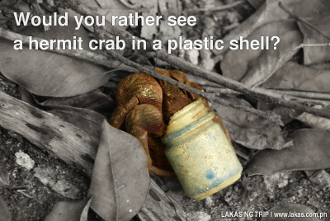 Wasn’t able to try this when we visited Puerto Princesa last year. 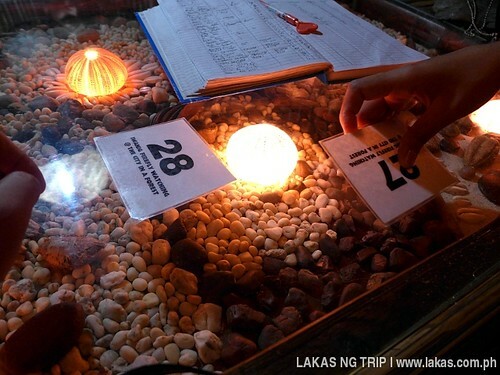 Looking forward seeing the fireflies of Iwahig on my next visit to the city. that was a very nice review about our firefly watching, Josiah. but I would recommend hiring a van to take you there. it’s much safer that way. and the cost is pretty much the same for a group of six. Thanks Alysha for the suggestion.